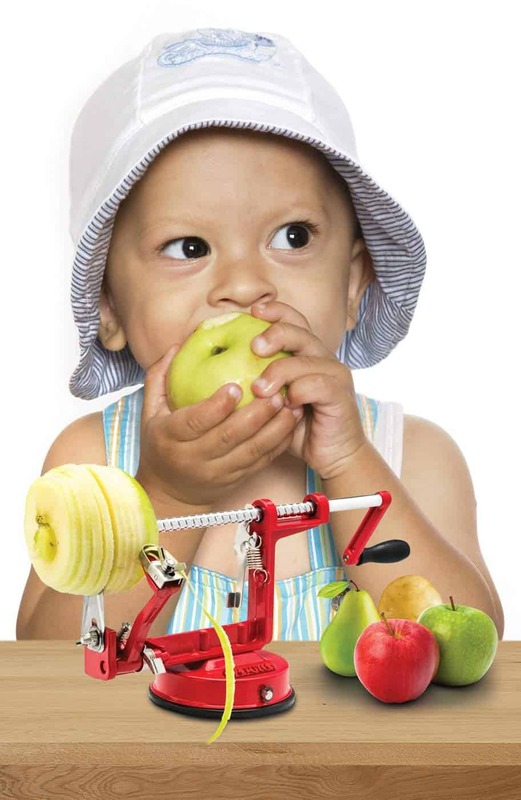 LIVE FRIENDLY CUSTOMER SUPPORT & LIFETIME WARRANTY – All of our Spiralizer products are backed by real live Customer Support. Our friendly team in Cheyenne is here for whatever you need. 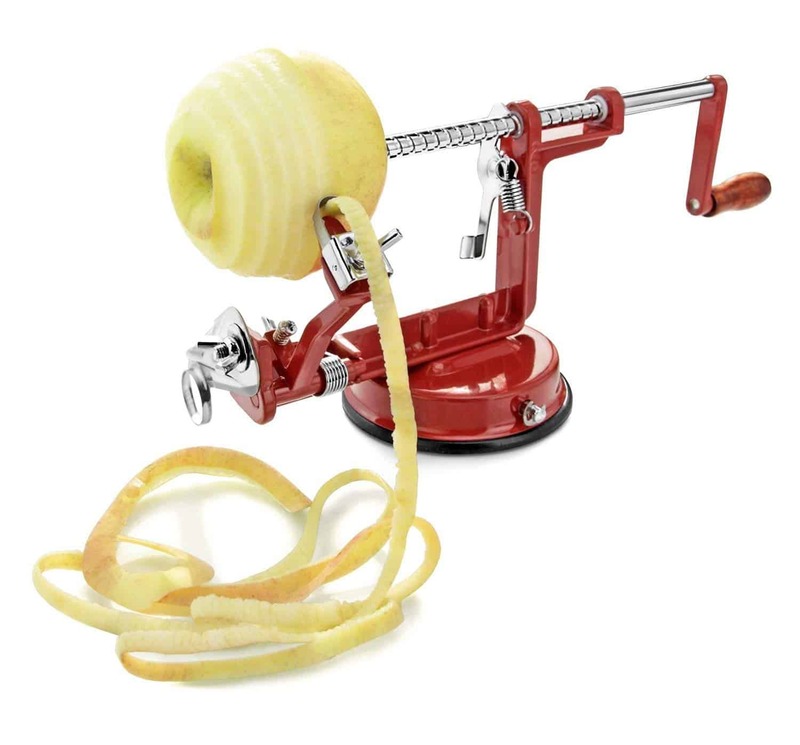 You are also covered by our Spiralizer lifetime no-hassle replacement policy. 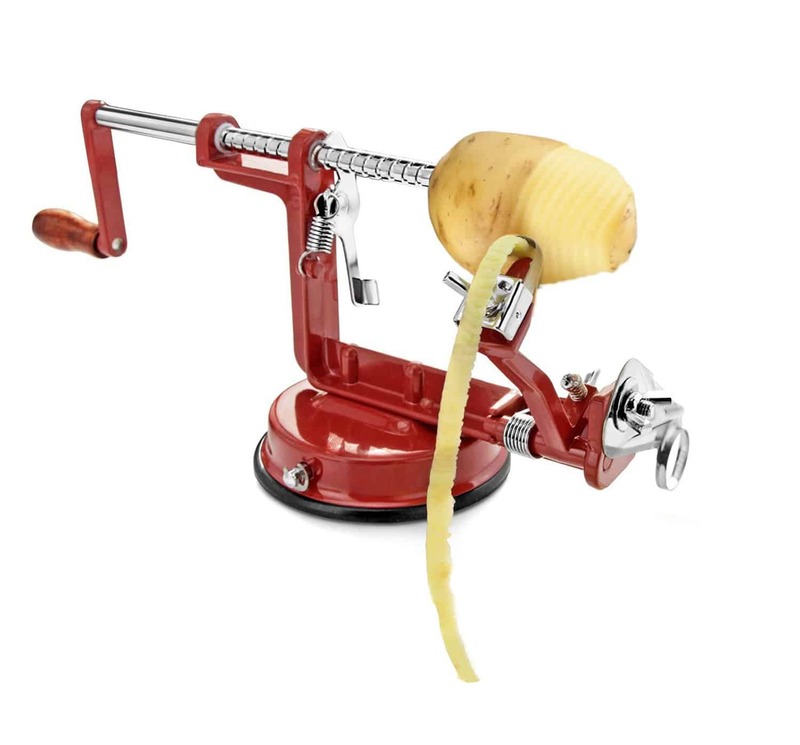 The strong suction cup works best when fastened to non-porous surfaces such as marble, granite, quartz or glass cooktops and keeps the peeler sturdy while in use. Heavy-Duty die-cast magnesium alloy is durable and long lasting. 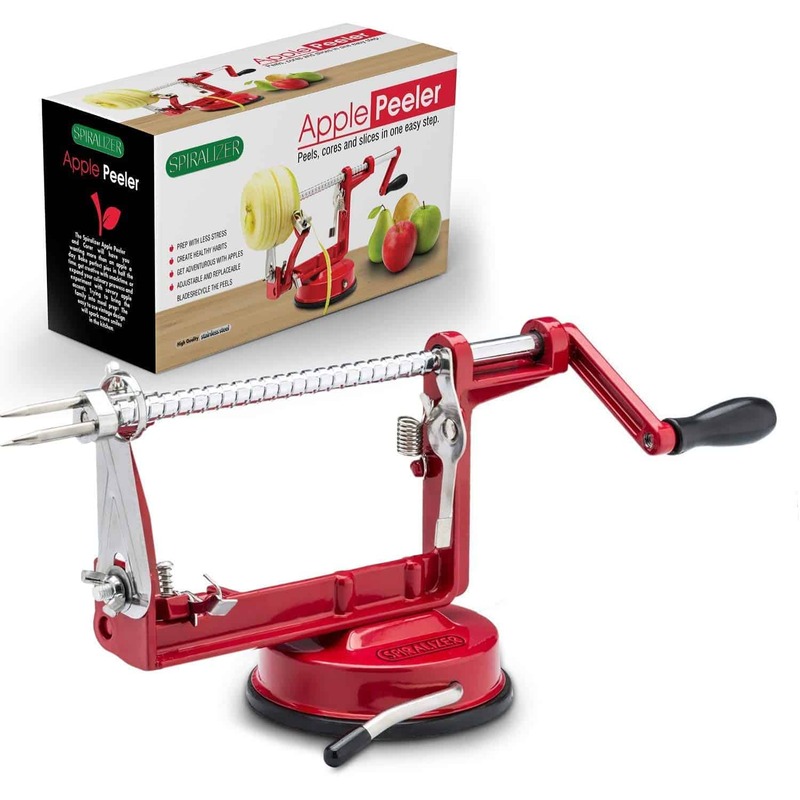 Our peeler works with many different firm fruits and vegetables such as but not limited to apples & potatoes. 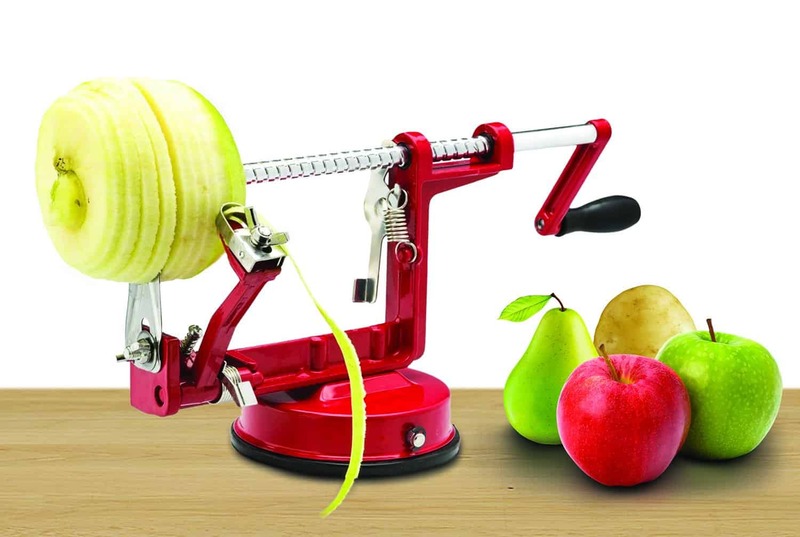 You can easily peel, core and slice with this high-quality machine. Quickly and almost effortlessly prepare apples to make apple pie. It greatly reduces your prep time. Improves neurological health, prevents dementia, reduces the risk of stroke, lowers levels of bad cholesterol, reduces your risk of diabetes and much more.